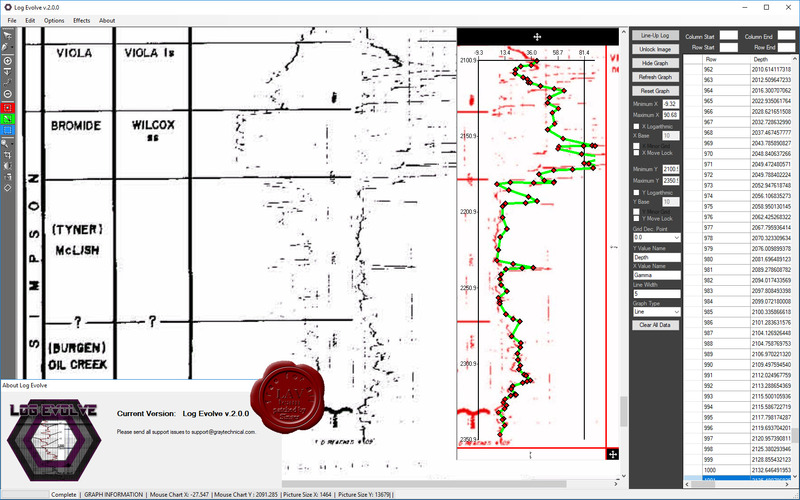 Log Evolve is a graph digitizer, originally created to aid in the digitizing of very large charts (known as logs) in the geology field. With Log Evolve you can take still images like scans or downloaded image files of graphs and convert them directly into tangible data. You can export all of this data in three options, Excel Format (with images and custom export information), CSV Data Table Format or Compressed Zip Format. Log Evolve can digitize many formats of small, large, horizontal or vertical graphs and charts. 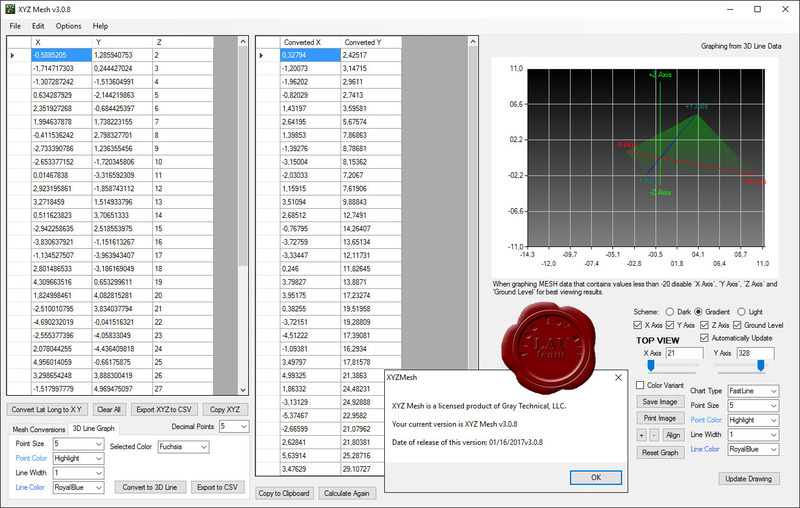 Its built-in AI Unit can automatically adjust the values of the viewable image when the graph is moved. With this AI users can graph a portion of the image, move the digitizer to another section, and continue the digitization without compromising data. If you have tried to take X Y Z data and graph it three dimensionally inside of Microsoft Excel you know that Excel’s graphing capabilities are quite limited. With XYZ Mesh you can convert and copy your data directly into Excel’s native format of MESH, Surface/Wireline Graph or 3D Line/Scatter Plot. With 3D line graphs and scatter plots you can even preview, rotate and pan your data before it is exported. This same function can be used with Wireframe 3D Surface Charts and Contour Graphs to convert Latitude, Longitude and Altitude into MESH for graphing. XYZ Mesh no longer contains a maximum row count for conversion. This value is set to 2,500 by default because anything above that row count causes the program to decrease in speed, however it can be increased or decreased by user preference. XYZ Mesh will not convert data with ‘0’ entries in the X or Y plane. 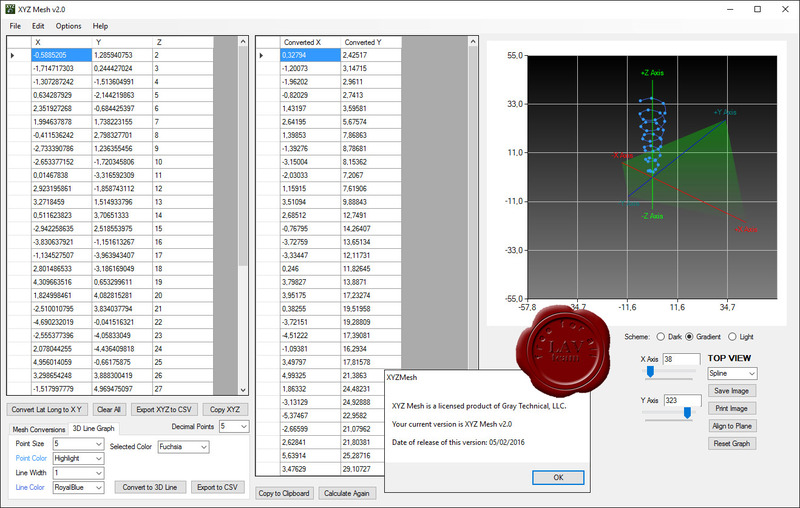 XYZ Mesh will automatically change these values from ‘0’ to ‘0.0001’. Stuck trying to figure out what to do with those old custom AutoCAD CUIX files that now have icons with a gray background, instead of a transparency? Cuix Tools was created just for that purpose, with a couple of added tools that make it the go-to program for all of your CUIX editing needs. Cuix Tools was designed to convert CUIX files with the old AutoCAD transparent RGB standard (192, 192, 192) into the new AutoCAD transparency. 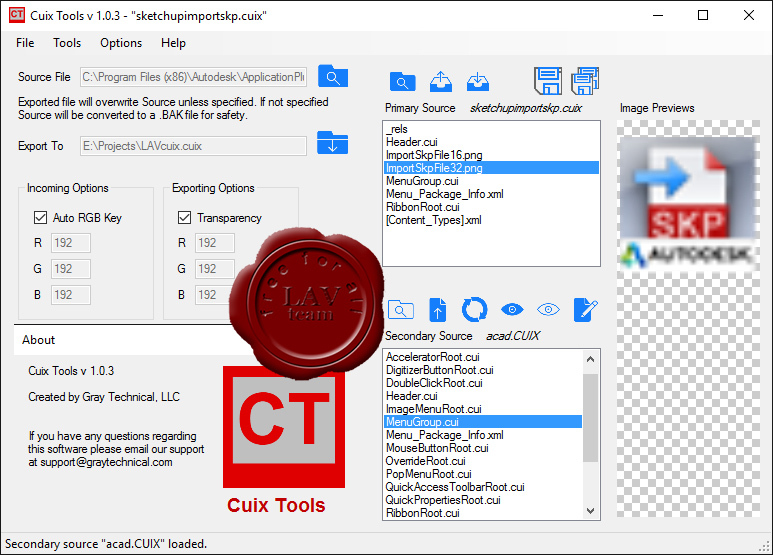 Cuix Tools will automatically replace all old RGB transparency values in your custom CUIX file with a true transparency, which was adopted in AutoCAD 2017. After converting the RGB into a transparent PNG Cuix Tools will then convert all of your old references as well, leaving you with no overlapping data or cross-references to the old icon files. But Cuix Tools can do much more than just convert old AutoCAD toolbars, ribbons and menus into the new 2017 standard. Have you ever wanted to create drawings inside of Excel? If you have, then you probably know that Microsoft Excel, while amazing for spread sheets, does have its limitations. 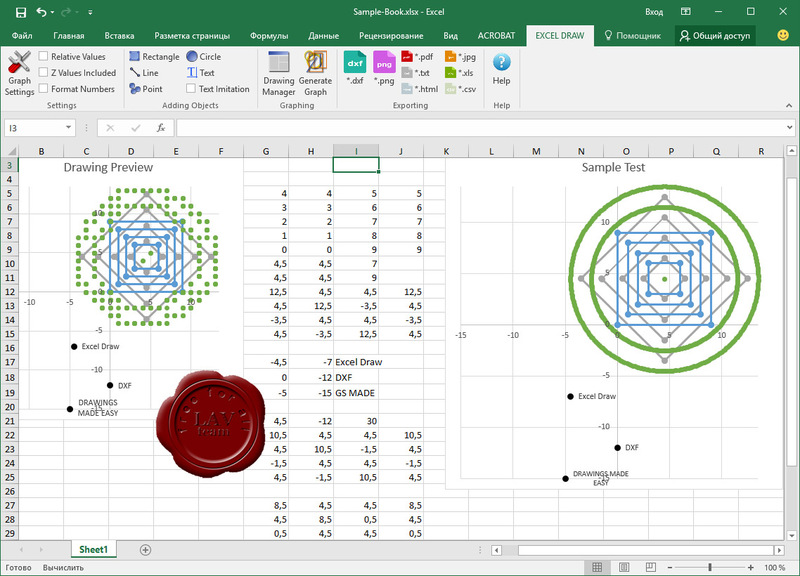 Graphing is not one of Excel’s strong suits, especially when it comes to drawings, until now. With the Excel Draw add-in you can use Excel to create, generate, graph, export and even view X1 Y1 Z1 X2 Y2 Z2 data within a drawing style format and in real time! You can copy XYZ data directly into your Excel spreadsheet or create your own data on the spot. Objects are simple to add with a visually distinct icon for every object type: Rectangles, Lines, Points, Circles and even Text. Absolute, Relative and Z Values are all optional. Every object can have its own unique settings or simply stay generic. XYZ value ordering can be modified but need to stay uniform throughout your project. With multiple objects displayed drawings can sometimes become confusing, causing you to lose track of what shape is associated to which value. The built-in Drawing Manager will help you with that, allowing you to highlight and select one object from a complete list of shapes. Modifying graphed object values will automatically update your drawing in real time. Exporting your drawing is just as easy as creating it. With the Exporting icons you can quickly export your data in several different formats; including drawing (DXF and TXT), image (PNG and JPG), document (PDF and HTML) and spreadsheet (XLS and CSV).